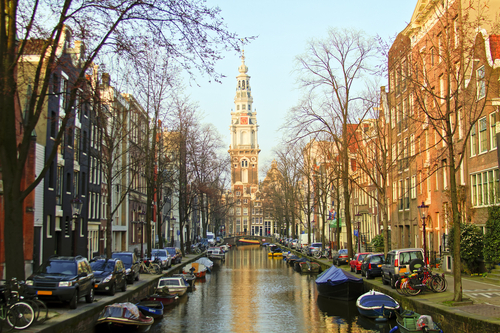 Aberdeen International Airport has said that KLM will operate an additional daily flight to Amsterdam Schiphol, starting May. The extra frequency will increase the number of flights from Aberdeen to Amsterdam to five a day. The service will be effective during the months of May, June, September and October. With the additional service, nearly 20,000 more seats are on sale, increasing capacity by around 10 percent on the route. The additional flight will be operated by an Embraer 190, carrying 100 passengers. Aberdeen International Airport’s Managing Director, Steve Szalay, said: ‘We warmly welcome KLM’s decision to expand its presence here at the airport. With more than an additional 20,000 seats available for passengers to purchase, this is a real shot in the arm for us as we enter an exciting period, as our Terminal Transformation project is on course for completion in the autumn. Tickets are now on sale for the new flight which will operate on weekdays between May 6 and July 5 and between September 2 and October 25. KLM offers Aberdeen-based passengers connections to 165 destinations worldwide via its hub at Amsterdam Schiphol Airport.